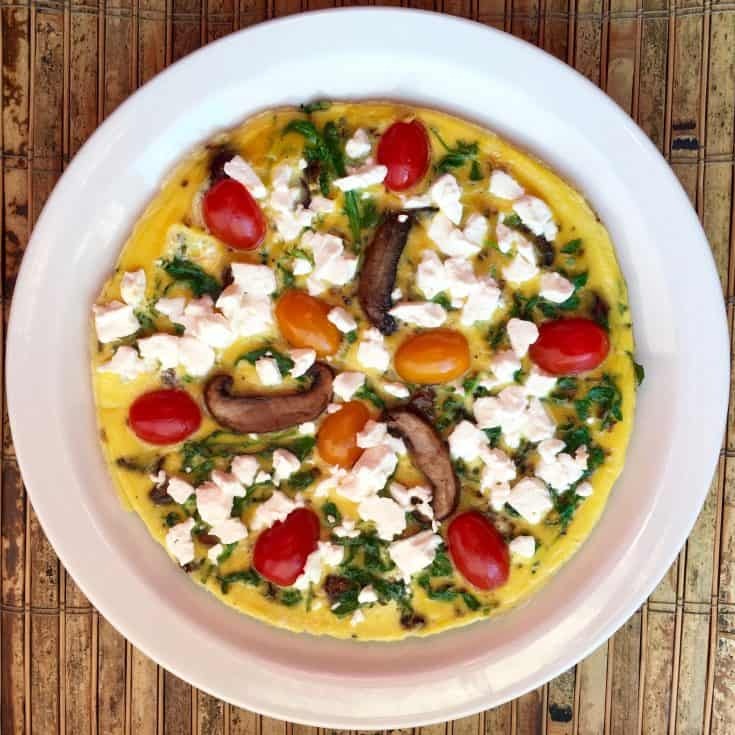 This savory stove top low carb frittata is easy to make and quite versatile. The most difficult part is deciding whether you should enjoy it for breakfast, brunch, lunch, or dinner. 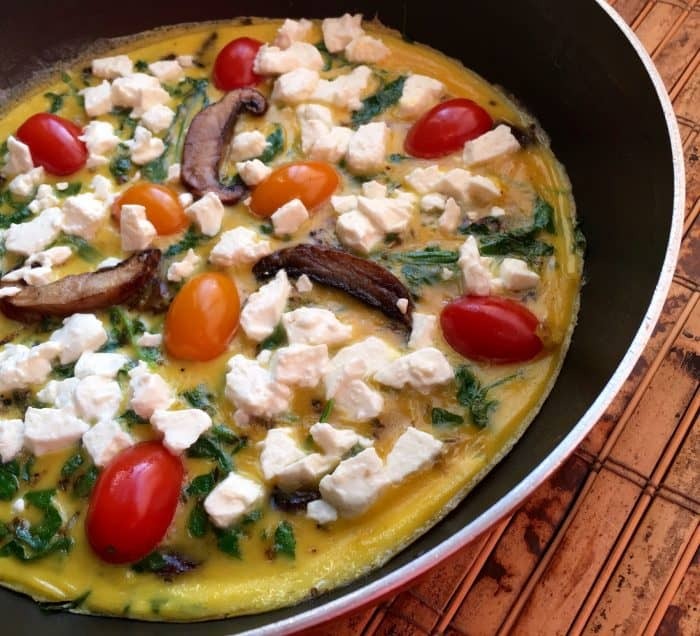 Prepare your Keto Frittata in a cast iron skillet that has been well-seasoned or another piece of non-stick, oven-safe cookware. A standard 10” non-stick skillet will also work, but remember not to put it in the oven! 6. Cook for another 5-6 minutes, or until the egg is cooked through and the Feta has just begun to melt. Remove from heat and carefully transfer to a serving platter and cut into wedges. 7. Serve warm or enjoy at room temperature. If you loving cooking with cast iron, check out my Chuck Eye Steak Recipe too for another delicious way to use your iron skillet.